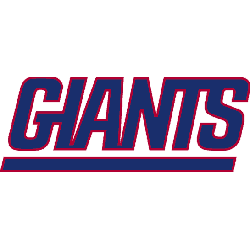 If the Giants took care of business in the first half....they would have been way ahead in this game and been able to play comfortably from ahead. B Mac.....you have a BIG job to do to not lose this team. Because a lot of guys will have a hard time getting motivated. What would it take to really clean house 4 wins, 3 or less? What is the end of the Mara patience? 0-5 with Denver and Seattle Before the bye week. 0-7 is the only real possibility. We have no receivers and our vaunted defense took the year off. IMO injuries will be used as an excuse and Reese / McAdoo will get a pass. Mara firing the dynamic duo would be shocking than going 0-16. McAdoo should be fired before the Yankee game starts tonight. Complete and total embarrassment. Reese too. I thought Beckham broke his ankle on that play, I hope I'm wrong. I don't want to hear about how you don't change coaches mid season. Anybody watching this mess can't say McAdoo has earned more rope.